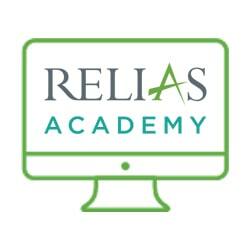 Basic Principles of Parenteral Nutrition Support is proudly presented to you by Relias Academy. Thank you. We hope that you enjoy your course. This two part webinar series is designed to present clinicians with the basic skills for providing parenteral nutrition (PN) support to patients. The first presentation will review nutrition support modalities, including indications and contraindications of PN and enteral nutrition (EN), composition and administration of PN, therapeutic considerations and basic order writing skills The second presentation will continue basic order writing review, describe complications associated with PN support, examine criteria for transitioning from PN to EN (tube feeding v. oral diet). If you are interested in a shorter, less detailed version of this course, we suggest The Fundamentals of Parenteral Nutrition Therapy on demand course.